A United States based start-up, Sistine Solar, has announced its created solar panels which can display any image making them more aesthetically appealing and able to adapt to their surroundings. Sistine’s panels can be customized to blend in with a building’s roof, by adopting the image of tiles, cedar, shingle, clay, sand or terracotta. However, this is not the limit to the solar panels capabilities; the company announced the panels can also display images such as grass, artwork, flags and custom designs. Sistine says the system will enable the possibility of professional uses such as advertising. 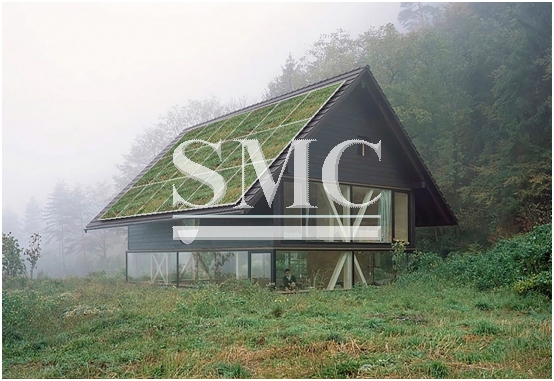 The panels currently cost approximately 10% more than traditionally designed solar panels, however, they also state that the average home will save approximately $30’000 over the lifetime. The way in which the technology works is to use a filtration technique, which will display an image whilst the work goes on underneath of transmitting the light into solar cells. Sistine express that enough sunlight reaches planet earth to power it for one year, however, just 1% of the world’s energy production globally comes from a solar source. The company is striving to find ways of the planet using 100% clean energy in the period of the current generation. The company is not just an ambitious start-up either; they have received funding from the US Department of Energy in the way of grants and won a Clean Energy prize from the Massachusetts Institute of Technology. The company is currently in collaboration with German Research and Development Company the Fraunhofer Centre.